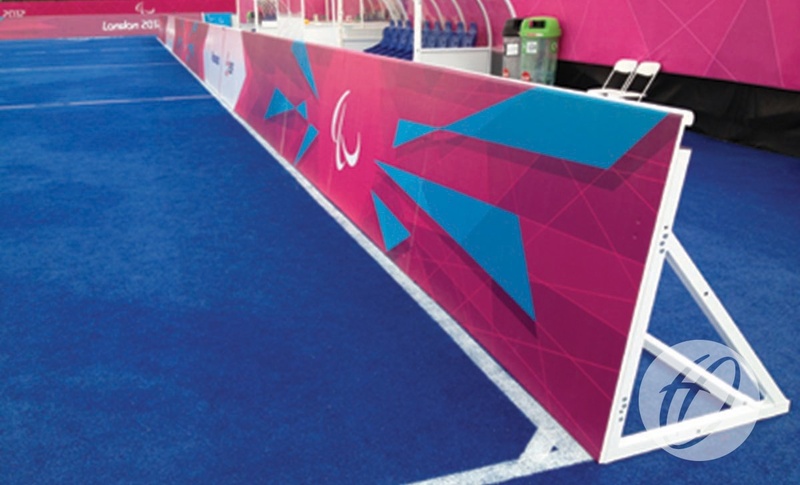 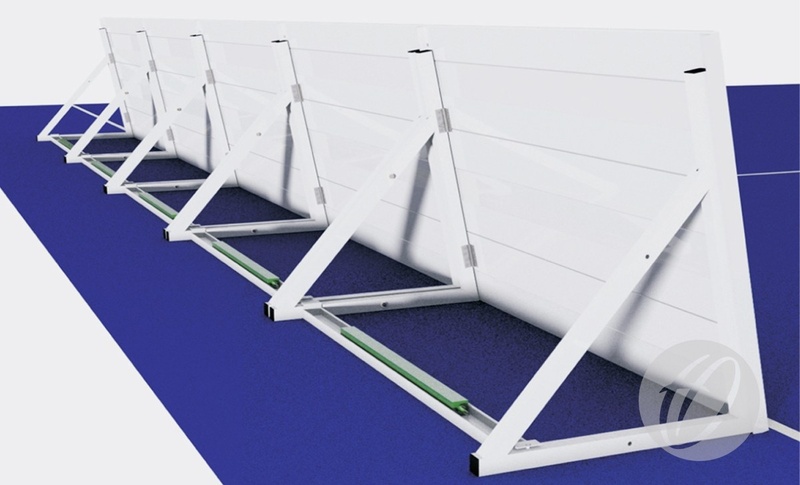 This product was designed specially for use during the London 2012 Paralympic Games as a boundary for the 5 aside blind football. Size: 2m long and 1.2m high with a 10 degree angle. 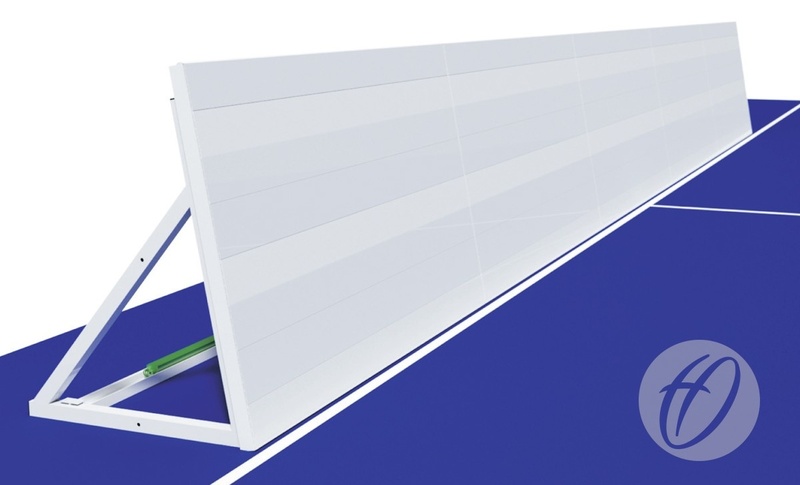 Material: Boards manufactured from Aluminium. 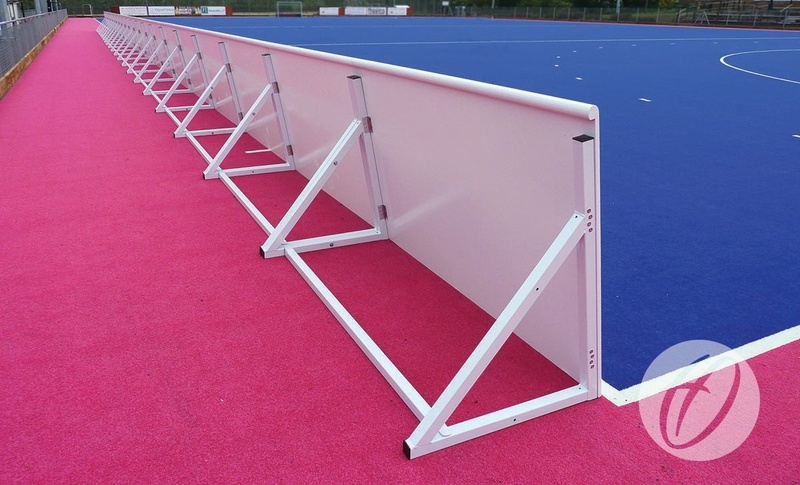 Boards are mounted on a foldable galvanised Steel support frame, all powder coated white. Boards with bevelled top edges for added safety. 42 boards are required to make a set.